You either hate it or love it. What is it? How apropro. The WordPress daily prompt for February 9, 2014, is What’s the one item in your kitchen you can’t possibly cook without?. And I already had this post well on its way. Few persons are indifferent to garlic. I, for one, cannot cook without it. Oh, yes…I do cook occasionally. This is one of my dirty little secrets. But I digress. Garlic seeks power, wanting to dominate other flavors in a recipe. Thus, use it sparingly. Yet I like to use garlic generously year round. I do increase my use of it during the winter flu season because, I suspect, it maintains my health, and also, I do cook more in frigid weather. So be prepared to taste garlic if you are served some of my cooking. Garlic does have a peculiar trait: when it’s cooked long and thoroughly it loses its most obnoxious qualities and becomes a buttery-sweet, almost delicate seasoning. Garlic is celebrated at numerous festivals. I’ll list two that are accessible for my husband Monte and I to attend—one celebrating 20 years and the other celebrating 10 years in 2014. For a stinking good time attend the 20th Pocono Garlic Festival on August 30-31, 2014. A fun filled event with a mix of legendary Pocono home grown, entertainment, music, artist and of course regional garlic growers! Not long after, on September 20-21, 2014, visit the 10th Garlic Festival in Cuba, New York. And a third in one of my favorite places, 16th Mt. Desert Island (MDI) Garlic Fest occurs on September 13, 2014. 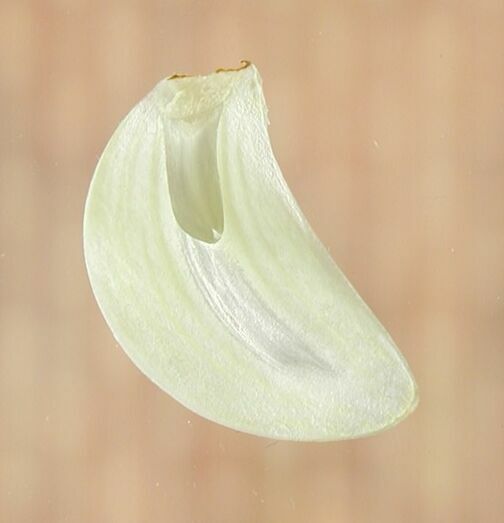 The Grey Duck Garlic website contains an updated 2014 list of garlic festivals in the United States. Since I’ve been doing quizzes this year I’ll post some questions. The first 6 are folklore, the next 4 are fact. Garlic and onions were invoked as deities by what older culture? During the reign of King Tut what was the price of a healthy male slave? Why did the Koreans of old eat pickled garlic before passing through a mountain path? What planet did the herbalist Culpepper connect garlic with? European folklore gives garlic the ability to ward off what? What does it mean if you dream there is garlic in the house? Sanskrit records show garlic was used 5,000 years ago to do what? Besides cooking, what is garlic used for in today’s world? 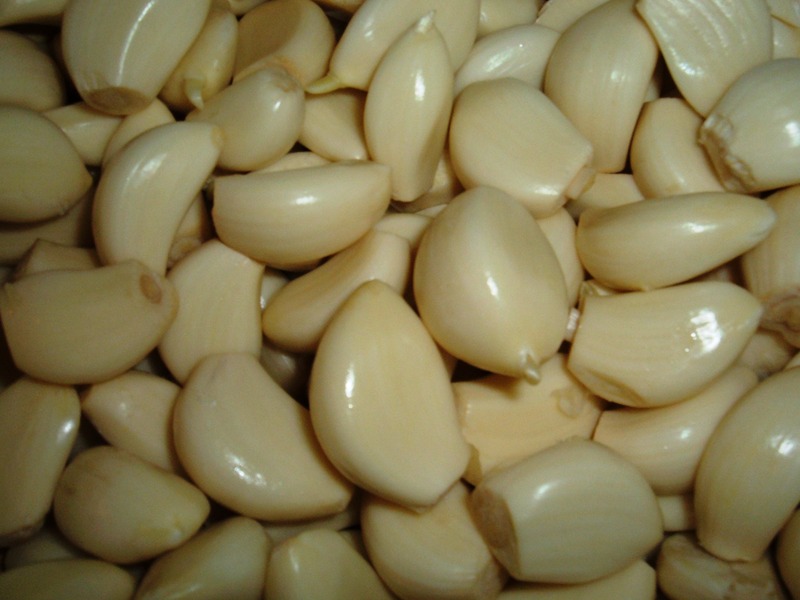 A 1955 Russian study demonstrated what use for garlic? 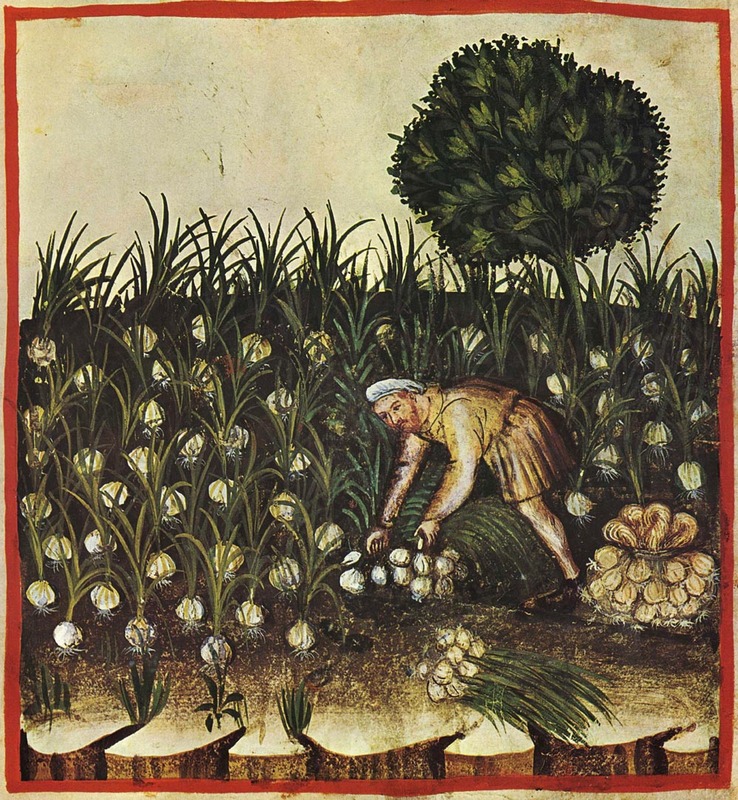 How did artists use garlic in their early works of art? 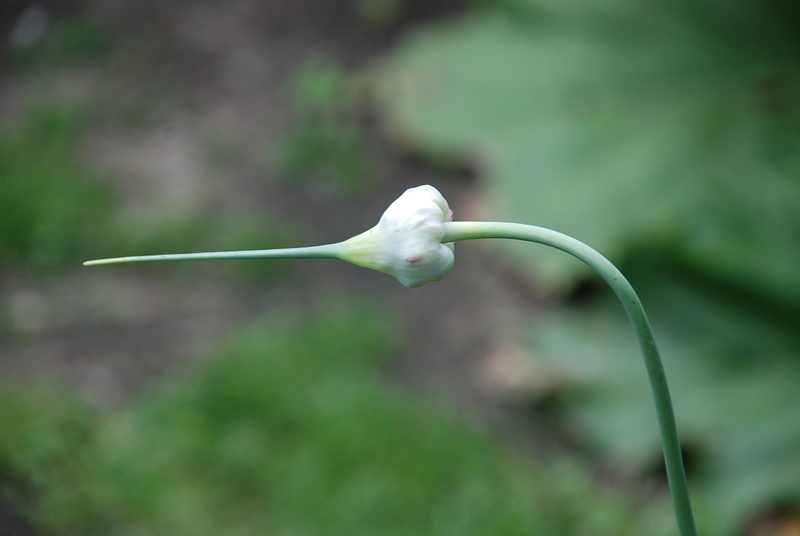 The ancient Greek name for garlic was _______. _________ what French physician translated it to _________________? _______________ is the most expensive spice in America’s grocery shelf. It retails for over $2,500.00 per pound. When Adam left the Garden of Eden _______________ sprang up where his left food landed, and _______________ sprang up from where his right food landed. Tales of wisdom, words of faith, burst forth from the mighty MUSTARD SEED. The ORANGE, giving happiness and prosperity, is a well-chosen gift. In each phrase below you will find the name of an herb or spice. To make it more interesting, their names are all spelled backwards. How many can you identify? Pure gas should be used in this project. The new trellis about the garden makes it look very pleasing to the eye. Do not tarry about paying your income tax. Hey Mom, a Dracula is after me. Help! You must pin, tack, and stitch that garment in order to have it turn out professionally.